Oy, it’s just my size! West Ham have announced they plan to retain manager Avram Grant – in the short-term at least – after months of speculation over his future. The Irons put out a statement in Grant’s favour this morning insisting they were standing by their current gaffer, despite the club lying bottom of the Prem with just four wins in their first 20 matches. My instinct is to applaud Messrs Gold and Sullivan for standing by their man(ager), but then you look at the table and wonder if it’s such a good idea to back-not-sack. West Ham fans, what do you make of your club’s decision to retain Uncle Avram? Is it a decision that will galvanise the team, or does it spell a ticket to the Championship? Word is they only decided to ‘retain’ Grant after Martin O’Neill decided that he wanted nothing to do with such a shoddily ran board. That said, I wouldn’t trust Gold and Sullivan as far as I could throw them – a heavy loss at the weekend and Grant will be slung out on his ear. poor grant needs some backing. you not going to get any better players if you’re not willing to spend money. i don’t think they should have sacked zola in the first place, he also deserved backing. he got his squad cut up and wasn’t allowed to rebuild it. COME ON YOU IRONS! The chairmen (and their attack dog, Karren Brady) are an embarassment. They seem unable to transact important club business without leaking rumours and innuendoes to the press. They make outlandish claims about signing Thierry Henry or David Beckham in order to boost season’s ticket sales, when they know they will never sign these players. They are constantly second-guessing Uncle Avram and publicly challenging him to win matches, or be sacked. The man has no breathing space, despite a decent run of form over the past few weeks. Everyone knows what really happened over the weekend: the chairmen lined up Martin O’Neill to take over, then leaked the story in order to get Robbie Keane to reconsider his move to Birmingham. O’Neill, a man of character and integrity, was appalled. He saw that he was dealing with the kind of disengenuous people who would probably make his life as manager a living hell, so he pulled out of the deal. Now SuGo, as usual, have egg on their faces. What an embarassment to our club, and you have got to feel sorry for Avram. Would relegation be the worst thing for West Ham at the moment? After a strong return the the Prem we’ve had a terrible few seasons, with an appalling transfer record. May be time to have a clear out and a proper rebuild. Albeit, with the state that the club finances are in there’s a very real danger of pulling a Leeds if we do drop. Is Grant the right man for the job? Of course. No other manager even approaching his quality would be willing to take the job for fear that it will ruin their reputation. 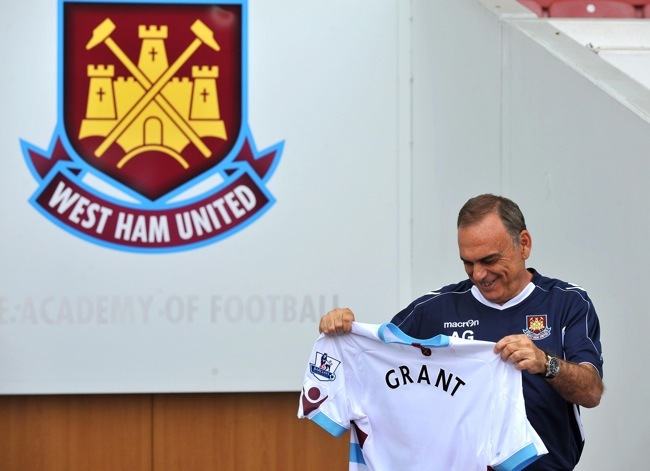 Despite our current league position I still do rate Grant. He kept things ticking over at Chelsea and did a phenomenal job with Pompey. Have Gold and Sullivan ever led a team to a cup final? It’s about time they pipe down.